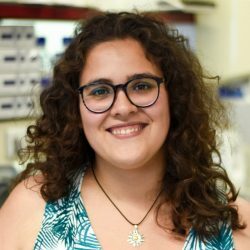 I’m Yasmina, a Biochemist and Molecular Biologist who has just started the PhD adventure within the DRIVE network at the University Medical Center Groningen in The Netherlands. I was born in the Basque Country, a region in the North of Spain in which a lovely and ancient language isolate called Euskera is spoken. Throughout my PhD, I will study the regulation of metabolism by autophagy using yeast Saccharomyces cerevisiae as a model organism. Increasing evidences are showing that induction of autophagy allows stem cells and certain cell types to enter specific developmental and differentiation programs, which is accompanied by a metabolic shift. My goal is to unveil the identity of the factors degraded by autophagy that trigger this metabolic shift.